Halloween is fast approaching and it’s time to break out everything scary, ghosty, bloody and undead (in book form that is). 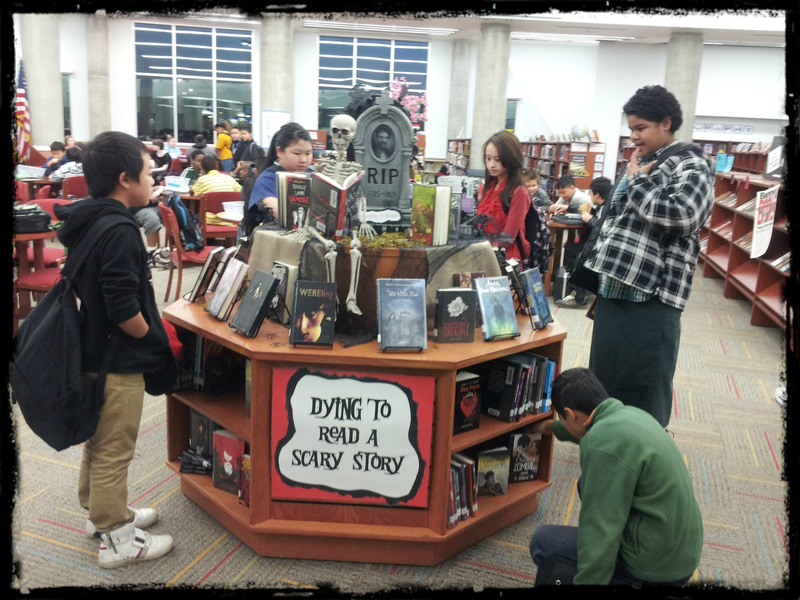 We are always being asked where the scary stories are located so it’s fun to pull them all into one display area. And you’ve gotta make it a little creepy for added interest. 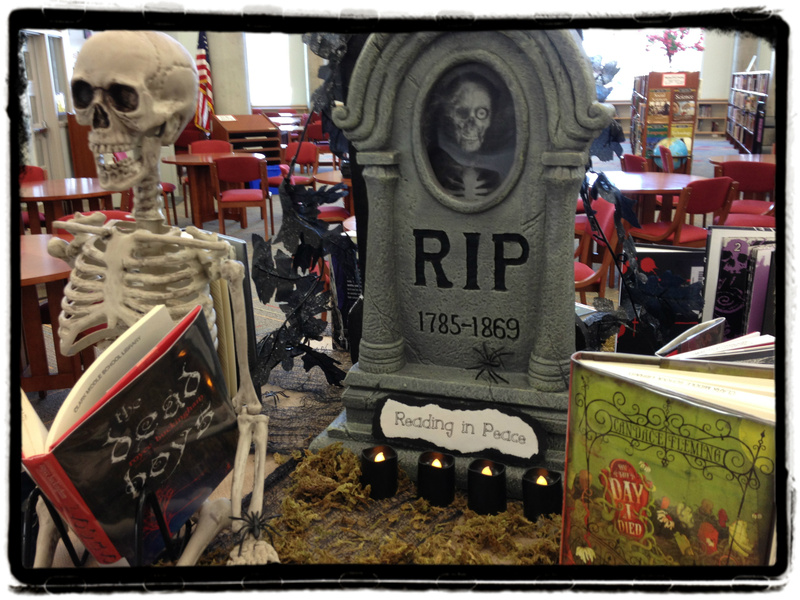 Lots of great books and fake spiders, and a fun sign to bring it together. In front of the tombstone I sprinkled moss to look more grave-like. Gauzy, black fabric is under the books and black leaves twine over the display. The book covers themselves are great enhancements to the props and it’s definitely getting kids dying to RIP (Read In Peace). 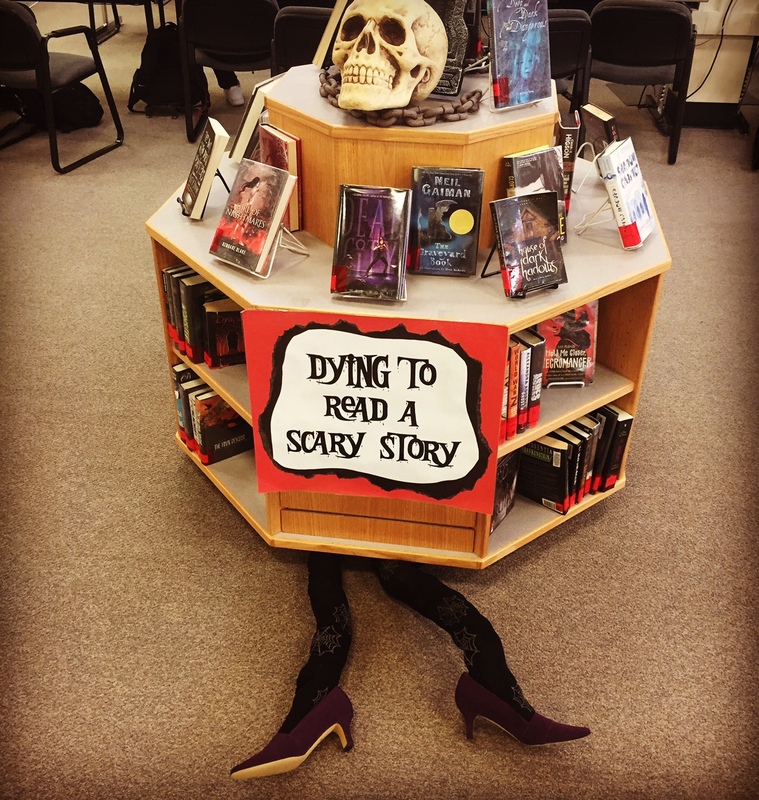 EDIT: We reused this sign again in 2016, and this time added some witchy legs to the display.